ZHUKOVSKY (Moscow Region), July 19. /TASS/. 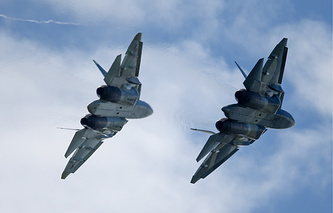 The research and development work on Russia’s PAK FA (Perspective Airborne Complex of Frontline Aviation) fighter jet (T-50) will be completed in 2019, United Aircraft Corporation (UAC) Chief Yuri Slyusar said at the MAKS-2017 international airshow on Wednesday. "In 2019, we should begin the delivery of a pre-production batch of [T-50] planes. 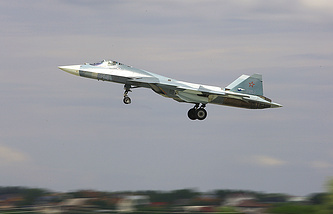 This is the year when we should complete the R&D work on the PAK FA," he said. According to new data, the first stage of the aircraft’s trials is expected to be completed in 2018. It was reported earlier that the T-50 with the advanced (main) engine would perform its debut flight in the fourth quarter of 2017. Currently, the so-called first stage engine 117S is mounted on the Russian fighter. A new engine has not yet received its name and is conventionally designated as the second stage engine. 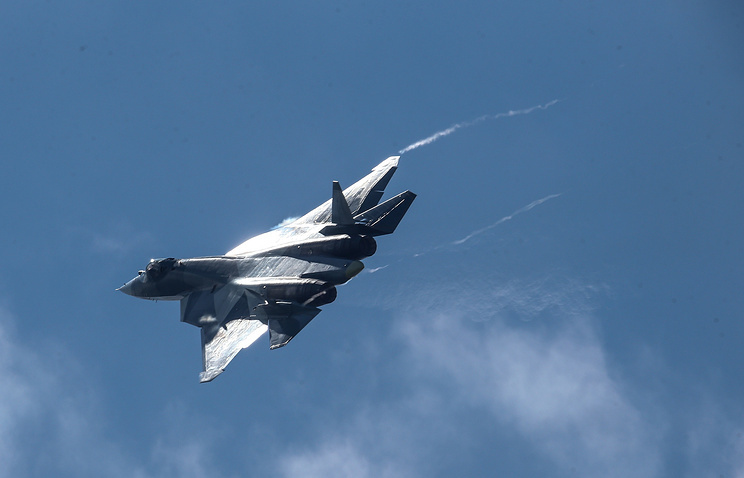 A pair of Russia’s fifth-generation PAK FA fighter jets engaged in a mock aerial battle at the MAKS-2017 international airshow on Wednesday. One the fighters launched an attack while the other dodged it, showing its super-maneuverability. The pilots also demonstrated aerobatic maneuvers, including Pugachev’s Cobra, flights at extreme angles of attack and flying at a minimum speed. Before this, only the most skilled pilots of the Lipetsk Aviation Centre who make part of the Falcons of Russia aerobatic group within the Russian Aerospace Force demonstrated a dogfight at minimum distances and speeds.